Early in the morning, the harbour at Fethiye was still, placid as many of the boats hadn’t set out along the Turquoise Coast. Enjoy more Turkey travel photography (travel photos) from Fethiye, Turkey. Visit all my posts from England, Wales and Scotland and Turkey. Enjoy my YouTube travel series where I visit Great Britain and enjoy travel photography (travel photos) from Fethiye Harbour, Turkey. Welcome photo lovers, travel enthusiasts and fellow bloggers to Traveling with Krushworth. Much as there are my photos from Great Britain, Cambodia and Turkey, follow me across Great Britain and Turkey with my YouTube travel show Traveling with Krushworth Happy travels! 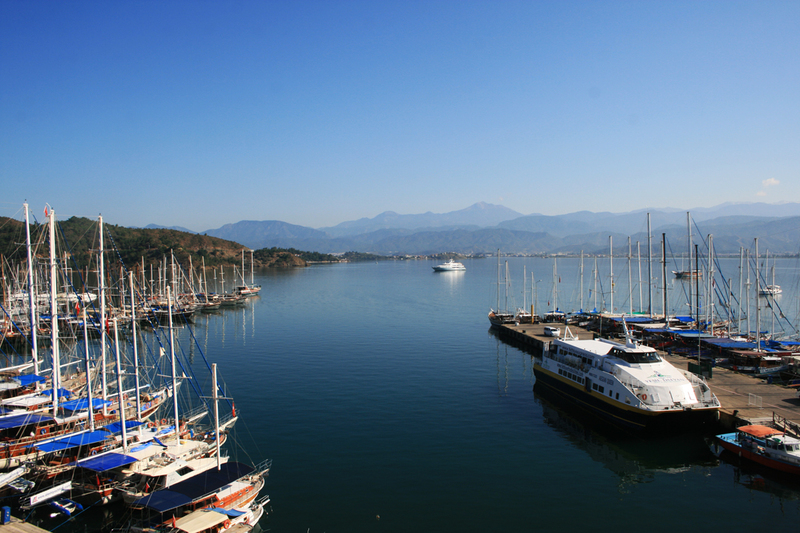 The Fethiye, Turquoise Coast episode is to your left. Now you make me want to go back to Fethiye. I took more or less the same picture of the marina nd harbour but yours is better.